Las Vegas, NV — GrammaTech and its partner the University of Virginia took second place in DARPA’s Cyber Grand Challenge finale, showcasing next-generation technologies for software vulnerability discovery and application hardening. GrammaTech’s team competed with Xandra – its high-performance, scalable system that harnessed 2400 cores to power 210 high-performance fuzzing pods capable of 1.8M fuzzing ops per second and feeding a dedicated bank of binary analyzers, patch generators, and binary rewriters to repair and protect binaries. Xandra performed steadily throughout the event, staying consistently in the top of the leaderboard as the 96 rounds of competition went on. Among other triumphs, it exposed a bug that was unknown to DARPA itself, who created each round of competition. 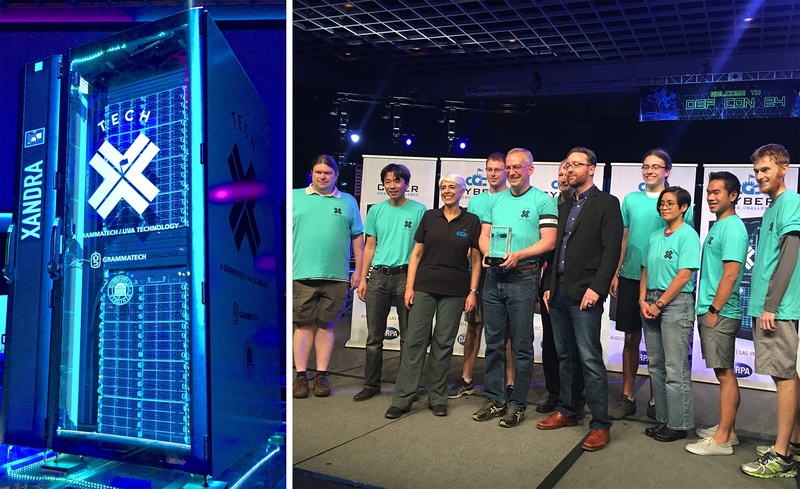 On the right, Team TECHx stands on stage to accept the 2nd-place trophy; on the left, Xandra, the system they created to participate in the challenge. The collaboration with the University of Virginia stems from ongoing research led by GrammaTech that aims to advance cyber-security technology through advanced software hardening and autonomic computing techniques, critically needed in the daunting age of the Internet of Things (IoT). Such research at GrammaTech includes numerous other ongoing projects with the Defense Advanced Research Projects Agency (DARPA), an organization acutely aware of the dangers of cyber attacks, as well as other work with the Army, Navy, Air Force, NASA, and Department of Homeland Security. "DARPA’s Cyber Grand Challenge takes aim at an increasingly serious problem: the inadequacy of current network security systems, which require expert programmers to identify and repair system weaknesses—typically after attackers have taken advantage of those weaknesses to steal data or disrupt processes," explained a DARPA press release. "Such disruptions pose greater risks than ever as more and more devices, including vehicles and homes, get networked in what has become known as 'the Internet of Things.'" Although the Cyber Grand Challenge is over and Xandra performed successfully, GrammaTech’s research in these technologies is far from coming to a close. 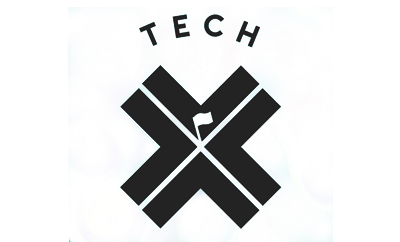 "Our software scientists are world-class experts in bug and vulnerability discovery, binary analysis, security monitoring, and software transformations," explained David Melski, Vice President of Research at GrammaTech. "The Cyber Grand Challenge was a perfect opportunity for us to integrate our technologies and demonstrate their combined potential to defend the world’s critical software infrastructure."